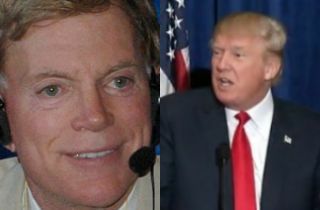 Recently, Donald Trump got a vote of confidence from someone most presidential candidates would rather do without: a former KKK Grand Wizard. Trump, on the other hand, told Bloomberg’s Mark Halperin and John Heilemann today that he wasn’t interested. From there, Trump was pressed on whether he was concerned about whether his anti-immigrantion rhetoric would attract problematic fans like white supremacists. Trump, confident as ever, replied “I hope there’s not,” but largely seemed unconcerned.